Description: Dianna's Special Guests via Skype from Russia are filmmakers Olga and Tatiana Poliektova. Dianna met Olga and Tatiana via Stage32.com and encouraged them to submit their short animated film "My Grandfather was a Cherry Tree" at the 5th Annual Wasaga Film Festival, where they won the International Platinum Award. Now this short film made the nominee long list at the Oscars. 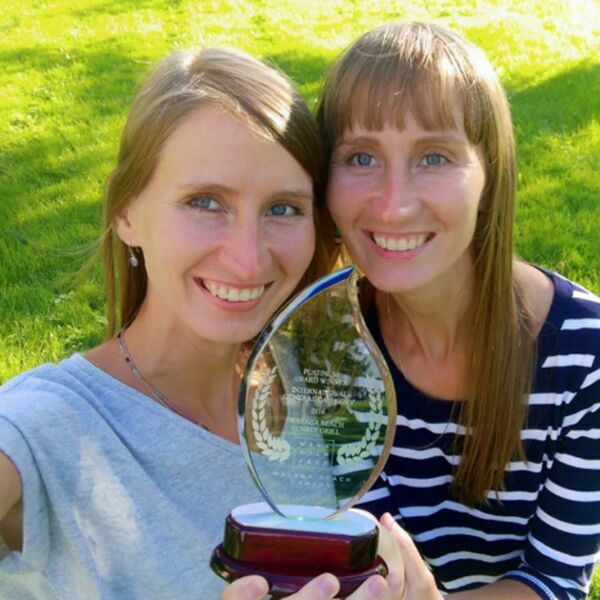 They are twin sisters born in St-Petersburg, Russia and started drawing at an early age. This sister team have produced several short animation films over the years which took part in over 100 worldwide film festivals and have garnered more than 50 awards. Olga and Tatiana share their team work and the success they had so far with their short animation films. BEACH CORNER from Beach BOOSTER Radio. Entertainment at its best! Please enjoy and share! Dianna's Special Guests via Skype from Russia are filmmakers Olga and Tatiana Poliektova. Dianna met Olga and Tatiana via Stage32.com and encouraged them to submit their short animated film "My Grandfather was a Cherry Tree" at the 5th Annual Wasaga Film Festival, where they won the International Platinum Award. Now this short film made the nominee long list at the Oscars. They are twin sisters born in St-Petersburg, Russia and started drawing at an early age. This sister team have produced several short animation films over the years which took part in over 100 worldwide film festivals and have garnered more than 50 awards. Olga and Tatiana share their team work and the success they had so far with their short animation films. BEACH CORNER from Beach BOOSTER Radio. Entertainment at its best! Please enjoy and share!